We know how it is—you’re wearing your finest dress shirt with French cuffs when, all of a sudden, you need a beer RIGHT NOW. Actually, we don’t know how that is, since we always carry two or three bottle openers anyway. 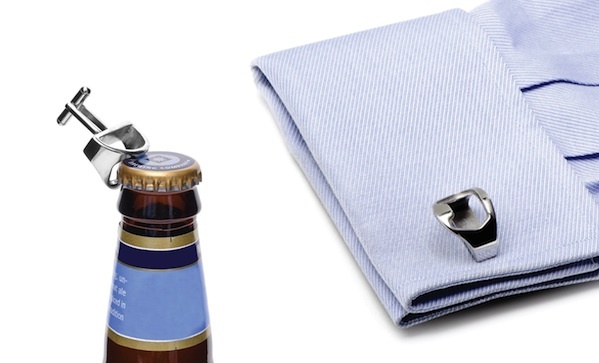 But now we can make it two more, since these cufflinks double as bottle openers ($50).